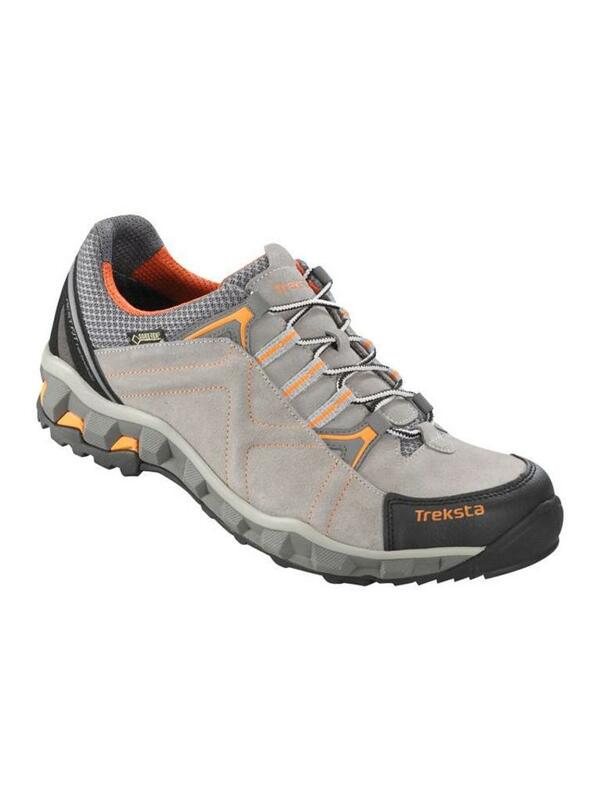 Treksta Men's Libero - Escape Sports Inc.
We set out to design and build a performance shoe packed with technical features for mountain approach, yet would also have appeal when not on a climbing mission. The Libero is the result. Technical for the crag, yet stylish for life away from the crag. The upper features Treksta’s T-frame construction to improve foot containment in both the propel phase and directional change phase and complete cupping of the heel holds your foot securely in place. Hypergrip Super Gum sticky rubber outsole inspires confidence when clambering over any type of rock.
. The NestFIT system cradles your feet in comfort, accounting for every contour as it follows the natural flow and design of the foot. Upper, insole, midsole and outsole come together like never before.
. Outsole: Hypergrip Super Gum with multiple component rubber tread, with independent climb, edge, grip and descent zones for reliable traction, up or down, on any mountain trail.
. T-Frame construction improves foot containment while performing technical movements.
. Treksta Flex System (TFS) allows for a natural and forgiving forefoot flex, by reducing material at the flex point. Important for those long days in the hills.
. Oily Split Suede upper with high density sponge for lateral foot protection against trail hazards.
. Midsole: Molded dual density EVA. Softer EVA at heel to cushion heel strike.